I have been a professional puppeteer since the 70's. I have created characters for the Girl Scout commercials for two years, The American Dietetic Association, and Westinghouse Air Break Co. ("WABCO" now defunct). 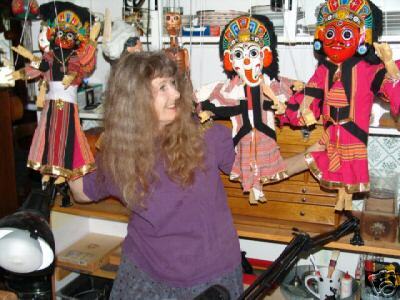 I have done many shows of live puppet performances for numerous organizations and even a short introduction film for a company but I have always wanted to make wooden marionettes and produce and direct more than perform.